Starting a sports memorabilia collection can be very exciting. You can now take your love of a sport, a team, or a player to the next level and build a unique collection that not only displays well but gains value. It’s great to be passionate about your sports collection, but it’s important to never buy pieces out of pour emotion. Do your research, there are a lot of fake sports memorabilia items being sold online daily, especially when it comes to autographed items. When a price seems to good to be true, it probably is when it comes to sports memorabilia. It’s great to find a good deal, but items priced far below market value should be viewed with a high level of skepticism. Be sure to purchase items from a reputable source such as The Autograph Network. Don’t be afraid to ask for a Certificate of Authenticity and inquire about the seller’s money back guarantee policy. The best sports memorabilia collection should be a representation of your own personal taste in sports. Sure, you want to make money, but you should also be excited about your collection and proud to showcase it to others. Personal preferences will always play a key role in building a sports collection, but it’s important to gain an understanding of the market that you’re collecting within. Like many things, supply and demand play an important role in building a valuable collection. If an item is rare and in good condition, it’s more likely to gain a better value than an item easily found. Sports memorabilia is known to fluctuate in value regularly, with various factors influencing price. Generally, items associated with historic greats such as Mohamed Ali, Wayne Gretzky, Babe Ruth, Michael Jordan, and Gordie Howe will hold value. The same can be said about some modern era athletes including Tom Brady, Derek Jeter, Shaquille O’Neal and Sidney Crosby will also grow in value. There are various types of sports memorabilia collectibles on the market and this presents an opportunity to build several types of collections. Maybe you want to build a collection around a specific team, player, sporting event (Stanley Cup, World Series, Super Bowl, or Daytona 500). Some collectors are only interested in collecting specific items such as game-used equipment, jerseys, autographed photos, baseball or pucks. Autographed gamed used equipment are some of the most interesting, rare and valuable collectibles on the market. Any game used equipment should bear an official seal and letters of authenticity should be given with any autographed items. Game used jerseys are some of the most sought-after items in the sports memorabilia collecting world, not only do they show well, they can quickly increase in value. A jersey from a specific and significant game can earn even more money. Imagine owning a Joe Carter Blue Jays jersey from the 1992 World Series, or a Sidney Crosby Penguins jersey from last year’s Stanley Cup final. Most game-used memorabilia will come with an autograph, it’s not uncommon for players to write GU (standing for Game Used) with the signature, they may also write out the entire phrase. Unautographed items will typically cost less and it gives you the opportunity to instantly increase its value by getting it autographed at some point. Unlike most collectibles, game used items may have damage, dirt and even tears and cracks. A cracked hockey stick may be slightest less valuable than a pristine stick, but it’s accepted that the item was used in a game and therefore it won’t be perfect. You’ve worked hard on your sports memorabilia collection and you should be proud to display it. Be sure to purchase proper cases with UV glass. You’ll also want to keep your collection away from direct sunlight, moisture and the room should always be at room temperature. Many collectors will insure their collection with special coverage for more valuable and rare pieces. Collecting sports memorabilia is a lot of fun and rewarding. Regardless of your personal preferences, there are many interesting items that will make your collection something you’re proud to own. At the Autograph Network, we realize that there is a wide range of collectors out there and our goal is to have something for everyone. Our accept all major credit cards on our secure website and can ship items worldwide through Pak Mail. 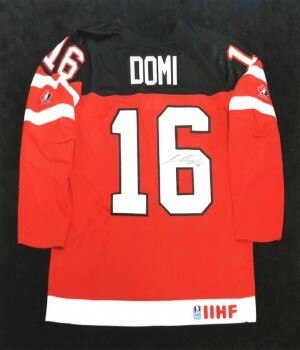 Browse our selection of sports memorabilia from athletes such as Max Domi, Sidney Crosby, Connor McDavid, Joe Carter, Austin Matthews and other popular professional athletes. Sidney Crosby memorabilia has proven to be a smart investment for sports collectors. Item after item sells for great prices. In a 2010 charity auction, a hockey fan purchased a one-a-kind game-worn Team Canada Sidney Crosby jersey. A piece of hockey history doesn’t come cheap, the rare Crosby jersey sold for a total of $37,100. The jersey was one of 140 Olympic hockey jerseys that went up on auction between May 11th and June 15th last year and all proceeds went to the Hockey for Haiti foundation. The jersey was worn during Team Canada’s qualification victory against Germany, a game that Canada won easily with an 8 – 2 score. 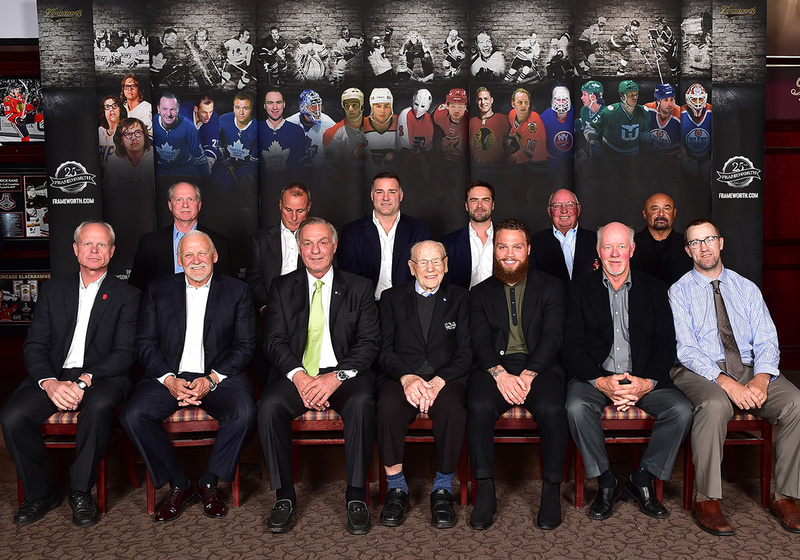 This joint effort between former NHLer and Georges Laraque, World Vision, and the NHLPA raised some much-needed funds for humanitarian work. 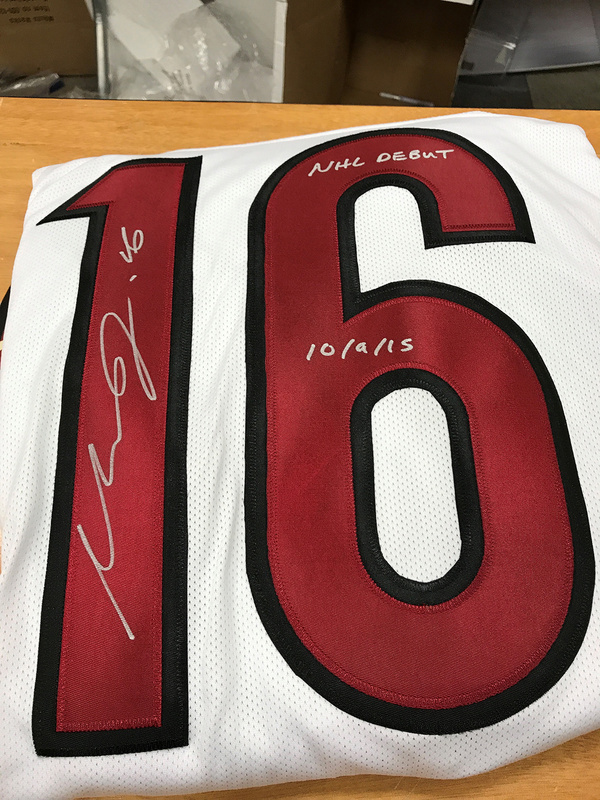 The sports memorabilia auction also auctioned game-worn jerseys by USA players such as Patrick Kane and Ryan Miller. This Sidney Crosby jersey sale wasn’t really anything new at the time, game-worn Crosby jerseys have always been a hot-selling item. During a 2007 charity auction in support of Hockey Fights Cancer, Sidney Crosby’s first all-star jersey was auctioned to generate funds for the charity. The jersey was eventually purchased for $47,520 USD. Overall, the online charity auction generated a total of $140,397. Hockey Fights Canada is a joint effort between the NHL and the NHL Players’ Association with the mission to raise money and spread awareness of cancer. At the time of the Crosby jersey auction, the charity had raised a total of over $9 million. The online auction also saw a game-worn Brendan Shanahan jersey sell for $5,681 and a Martin Brodeur jersey go for $5,020. 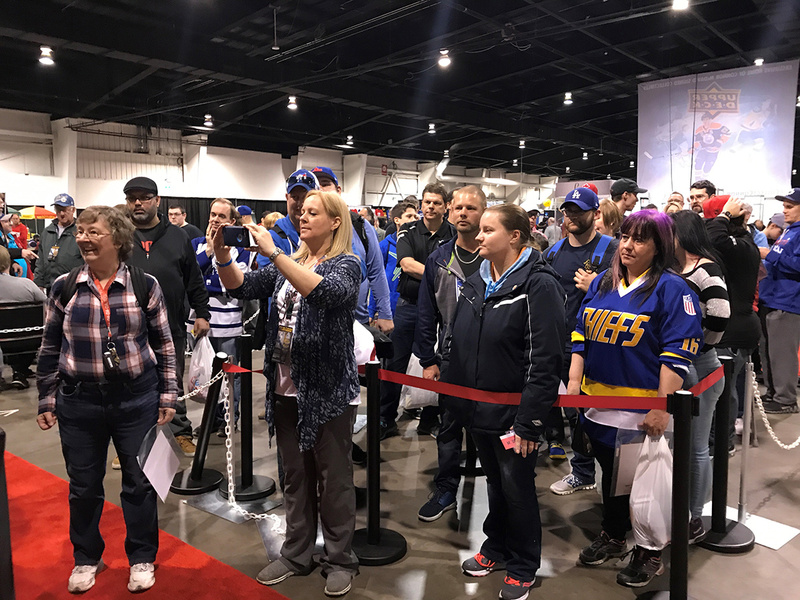 Hockey fans were impressed to see jerseys from NHL superstars including Ryan Miller, Rick Nash, Joe Sakic, Eric Staal, Daniel Briere, Roberto Luongo, and Vincent Lecavalier. Today’s market for Sidney Crosby game-used memorabilia is as strong as ever before. A quick search on eBay produces lots of exciting items such as a game-used hockey stick ($7,500) and a game-worn jersey from Crosby’s rookie season (priced at $50,000). Saturday, May 5th is a day to mark on your calendar. We’re attending the upcoming Sports Card and Memorabilia Expo at The International Centre and we’re auctioning off an impressive selection of Sidney Crosby game used equipment. Can’t attend the expo? No problem, you can also join us online and view and bid on a wide range of items used by Crosby including hockey sticks, gloves, skates, jerseys, helmets, hockey pants, and more. These items will instantly enhance any hockey fan’s sports memorabilia collection and they can’t be found anywhere else. Online bidding is simple and convenient, simply create an account on our website and place your bids. The auction starts at 3 pm sharp, and we look forward to seeing you in person or online. Check out our collection of exclusive Sidney Crosby autographed memorabilia now. We’re now well into the NHL playoffs and things are heating up. Many Canadian hockey fans are cheering for Matthews and the Leafs or Laine and the Jets, but you can’t forget about Sidney Crosby and his Penguins. Will they be able to pull off modern hockey history and win three cups in a row? Only time will tell. Crosby and the Pittsburgh Penguins are running on all cylinders with their recent round one series win against their state rival Philadelphia Flyers. It’s been a great season for Crosby, his 89 regular season points was one of the best in the league. This all-star calibre of play from the captain carried through to the playoffs. The first round of the playoffs was dominated by Crosby, he currently atop the playoff leaderboard with 6 goals and 13 points. Alexander Ovechkin and the Washington Capitals are up next. This battle between two of the league’s greatest superstars is sure to impress (even if you’re cheering for Toronto or Winnipeg). Saturday, May 5th is a day to mark on your calendar. 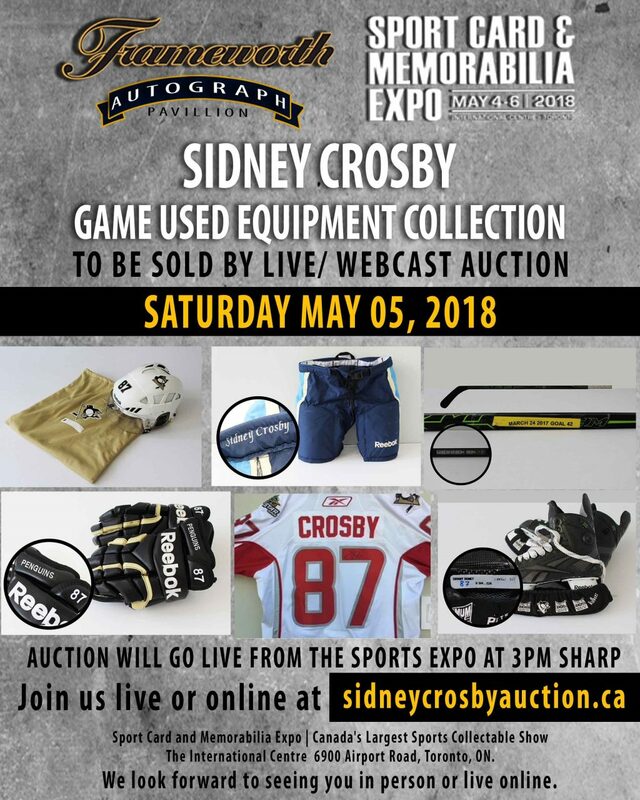 We’re attending the upcoming Sport Card and Memorabilia Expo at The International Centre and we’re auctioning off an impressive selection of Sidney Crosby game used equipment. Can’t attend the expo? 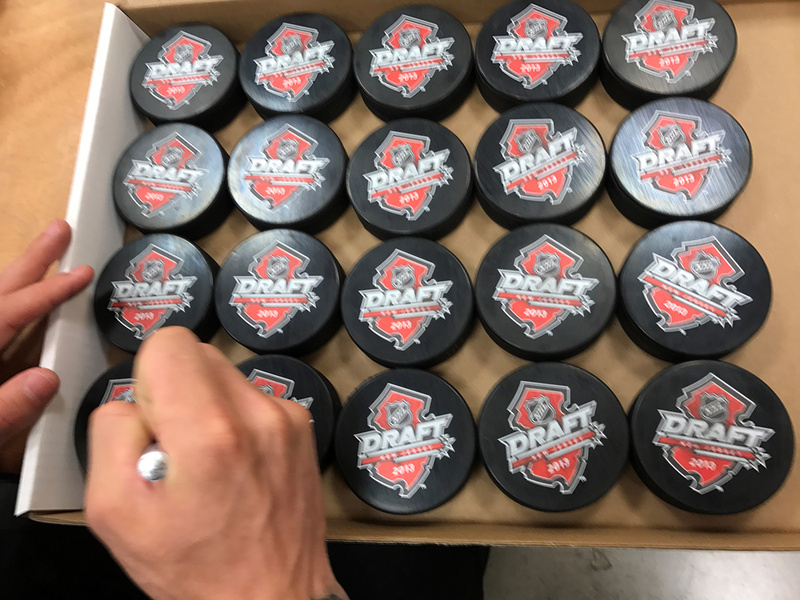 No problem, you can also join us online and view and bid on a wide range of items used by Crosby including hockey sticks, gloves, skates, jerseys, helmets, hockey pants, and more. These items will instantly enhance any hockey fan’s sports memorabilia collection and they can’t be found anywhere else. Online bidding is simple and convenient, simply create an account on our website and place your bids. It’s a new year and we’ve got some exciting memorabilia that would look great showcased in your collection. 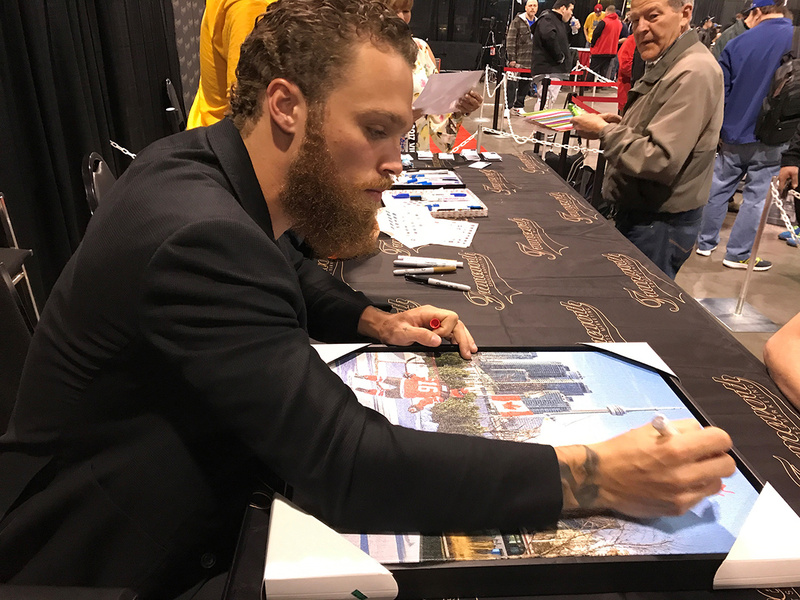 At the Autograph Network, our goal is to connect collectors to a wide range of rare and exclusive signed memorabilia. We’re excited to have something for everyone. Canada brought home gold from Buffalo during holiday season’s World Junior Championship. A captivated country watched some of Canada’s up-and-coming hockey stars take on Sweden to win gold for the first time since 2015. At the Autograph Network, we have a great selection of Team Canada World Junior merchandise for sale on our online store. We have a great selection of jerseys, photos, caps, and pucks that will add to any Canadian hockey fan’s collection. 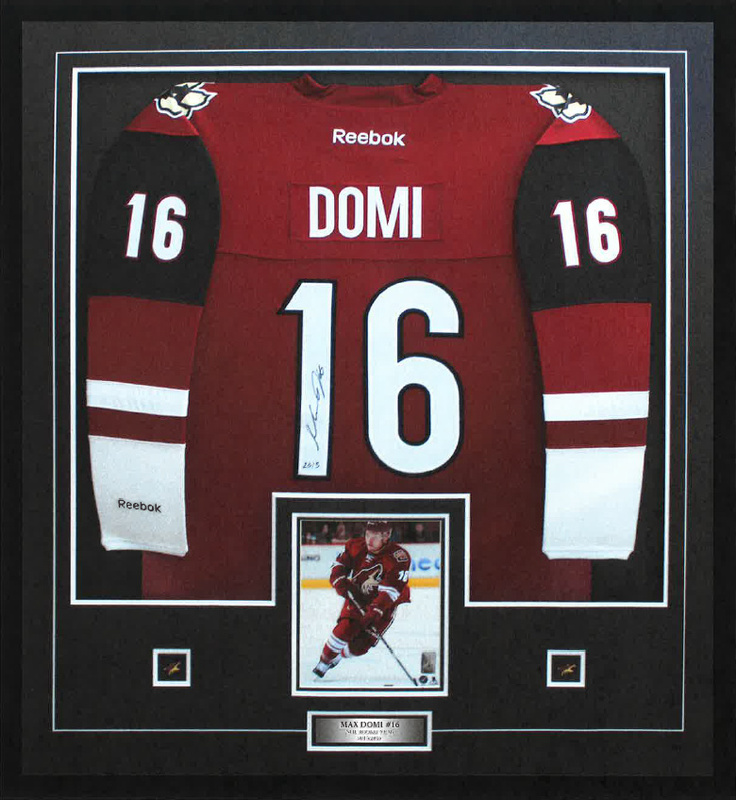 Our collection also includes a great selection of Team Canada merchandise autographed by 2015 champion and current Arizona Coyotes superstar forward Max Domi. Max Domi has achieved a lot since playing a key role in the 2015 World Junior Tournament. Following the tournament, Max would be selected by the Arizona Coyotes with the 12th overall pick in the 2013 NHL Entry Draft. Over last few NHL seasons, Max has established himself as a fan favourite and a rising star on a young and developing Coyotes team. We’re proud the be the official vendor of Max Domi NHL merchandise. 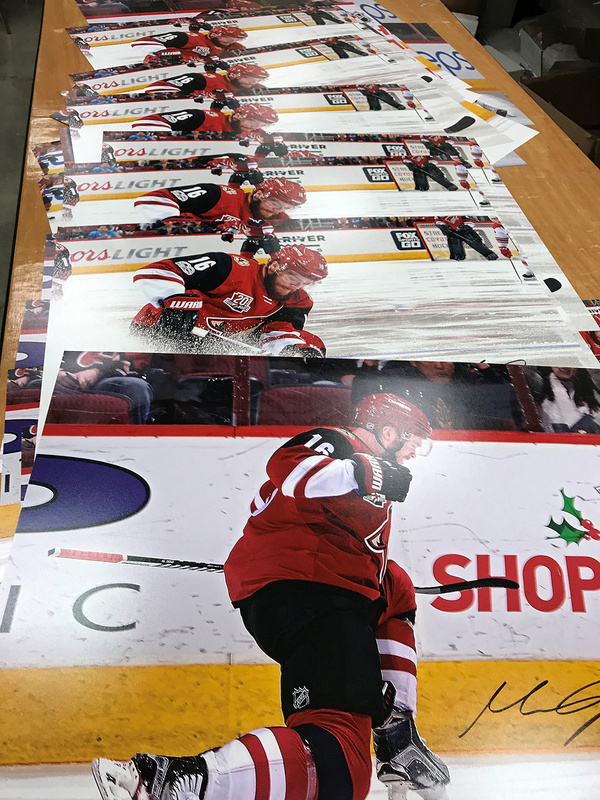 Our website has a great selection of signed Max Domi jerseys, pucks, photos, caps and more. We also have rare autographed merchandise from other NHL superstars including Sidney Crosby, Connor McDavid, and Auston Matthews. Canada lost a true legend this past October with the untimely passing of Tragically Hip frontman, Gord Downie. Gord and his band embarked on a national tour after news broke of his terminal cancer. Tickets to each date sold out within minutes and Canadians were overtaken with Gord’s strength and courage during the band’s final tour. People from all over the country turned in to watch The Hip’s final show in their hometown of Kingston with an estimated 11.7 million Canadians watching and singing along to the live concert. We are honoured to have a great selection of autographed Gord Downie and Tragically Hip memorabilia that any Hip fan would be proud to add their collection. There may be snow on the ground, but baseball season is fast approaching with spring training beginning in just over month. The last couple seasons have seen playoff baseball return to Toronto and we’re excited to see if the Jays can improve from last year and make another run at the World Series. We have a great selection of online Toronto Blue Jays memorabilia for sale on our website. We have a great selection of items signed by both current and former Blue Jays players including Roberto Osuna, Josh Donaldson, Joe Carter, and Edwin Encarnación. At the Autograph Network, we realize that there is a wide range of collectors out there and our goal is to have something for everyone. Our accept all major credit cards on our secure website and can ship items worldwide through Pak Mail.